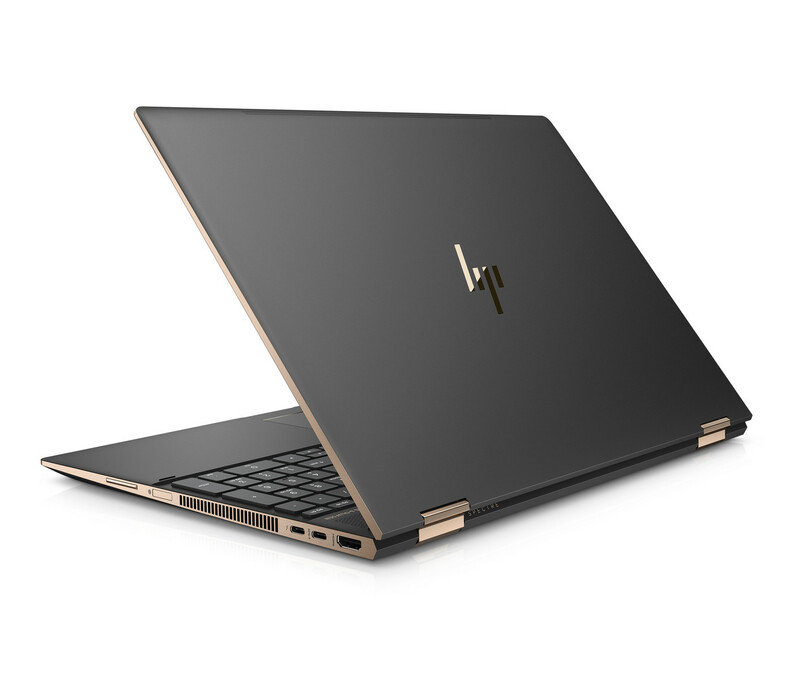 HP's third generation convertible is 1.5 mm thicker in order to make room for the quad-core 65 W Kaby Lake-G CPU. 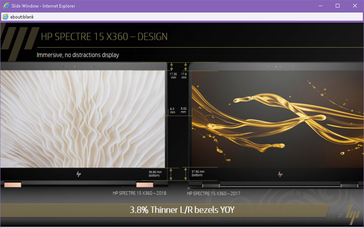 Expect SKUs to begin shipping on March 18 for a starting price of $1370 USD. 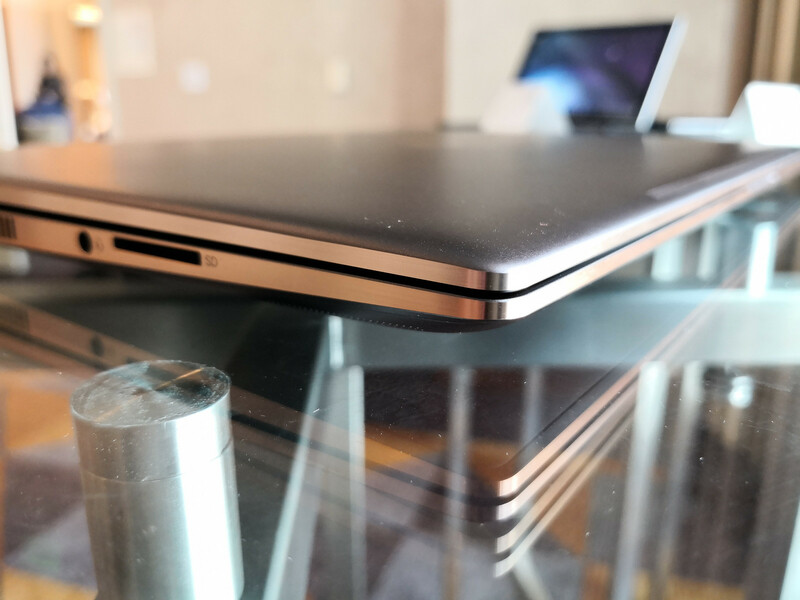 Every year we are treated to slimmer and lighter notebooks as manufacturers race for thinner form factors and the "sleekest" profiles. 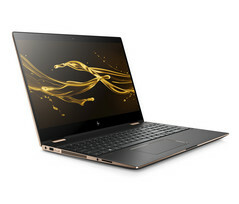 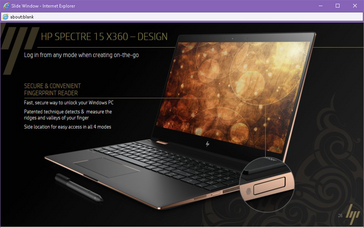 HP dares to be different with its 15.6-inch Spectre x360 15 series. 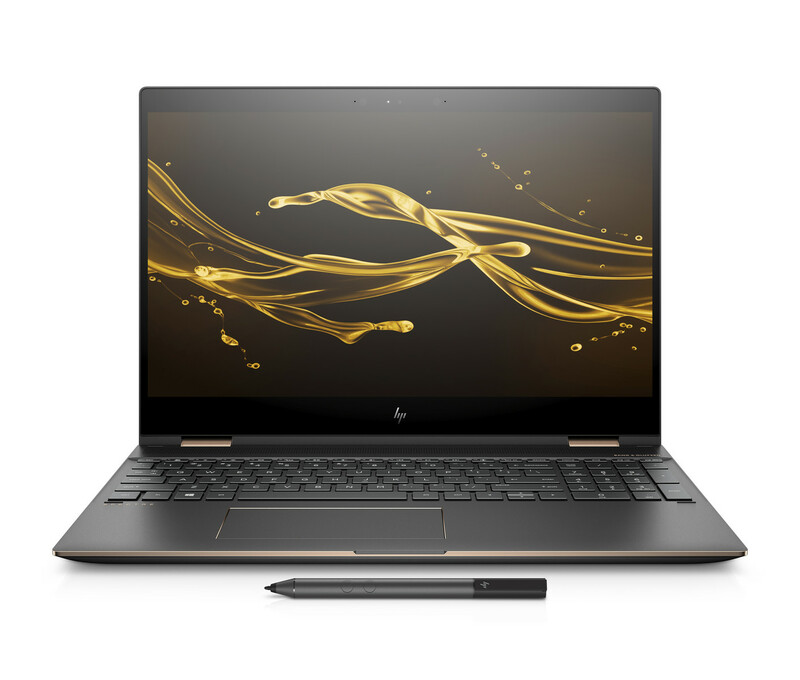 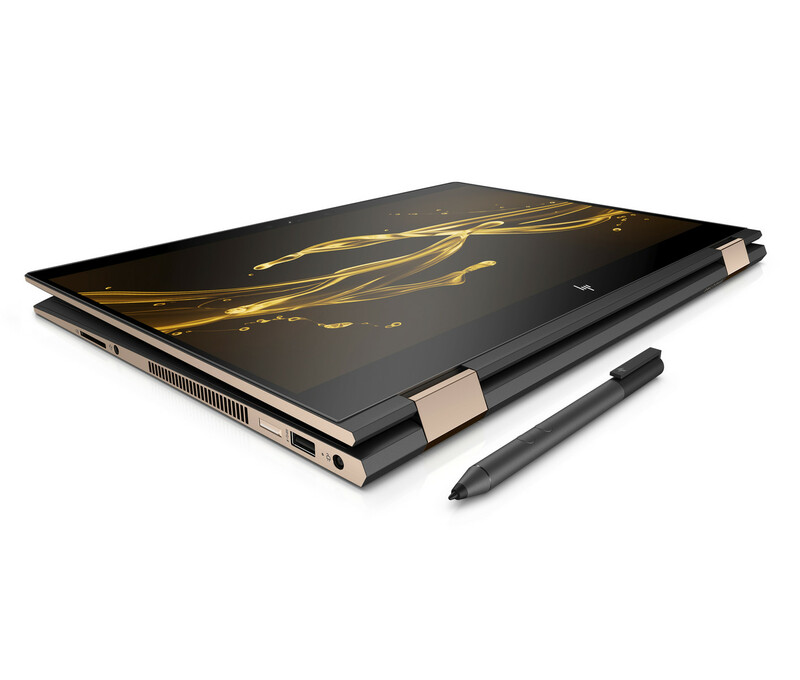 Now in its third generation, the word's largest PC manufacturer has opted to create a slightly thicker redesign yet again in the name of additional features, faster processing power, and a larger battery capacity. 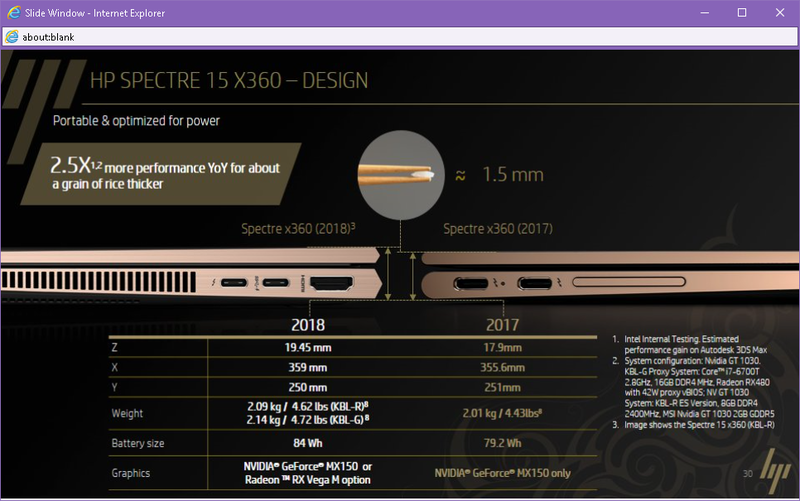 The core hardware differences between the second generation Spectre x360 15 and upcoming third generation refresh are highlighted in the table below. Visually, the most notable updates will be the 1.5 mm thicker chassis, sharper rear edges and corners, full-size NumPad, and Fingerprint-enabled Power button. In contrast, the older model is rounder around its edges and with no NumPad due to the arrangement of its front-facing speakers as detailed in our existing reviews. 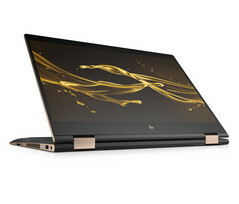 The sole glossy display option will continue to be a Gorilla Glass 4 4K UHD touchscreen with the familiar Ash Gold color scheme. HP says it will be identical in brightness and color coverage (72 percent NTSC) to the last generation Spectre and so we're not expecting any significant changes to contrast or even panel providers. 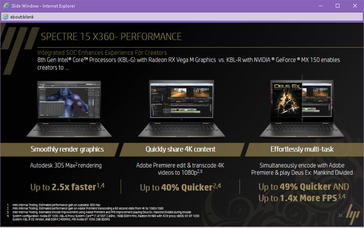 While the external updates are noteworthy, the internal changes are probably the most exciting. 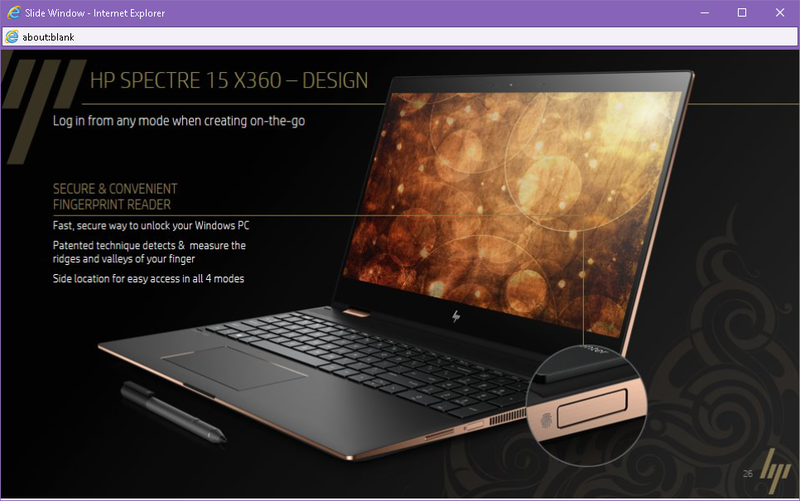 HP will continue to offer the same 15 W Kaby Lake-R i7-8550U and ~25 W Pascal GeForce MX150 options as before, but buyers will now have the option for a faster 65 W Kaby Lake-G CPU with integrated AMD Vega M Graphics. HP is promising a raw processor performance boost of 2.5x and frame rate boost of 1.4x over the Kaby Lake-R SKU with this new Intel-AMD option in certain scenarios. 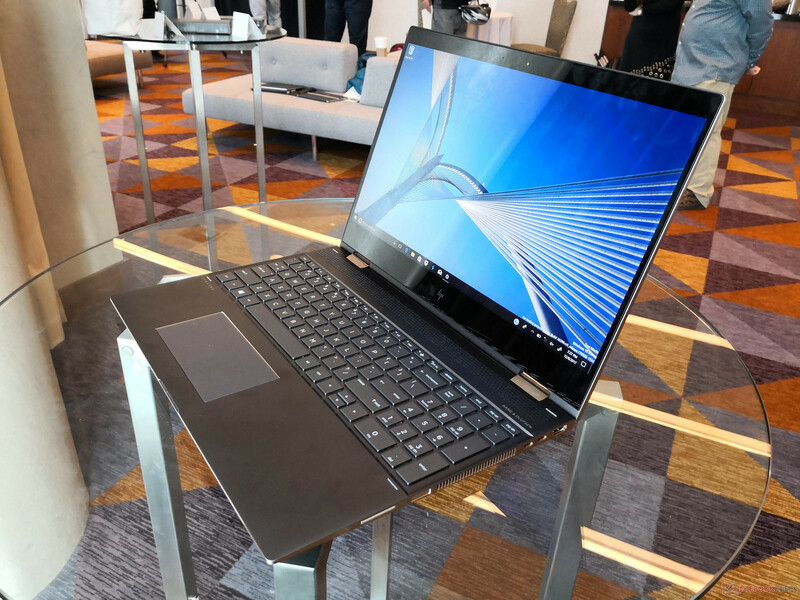 Note that this very same Kaby Lake-G processor will also be coming to the recently unveiled XPS 15 convertible and so it will be interesting to see how these two manufacturers will balance the variable clock rates and temperatures between their respective systems. 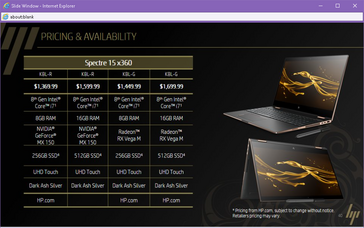 There are, however, some caveats to the Kaby Lake-G configuration. 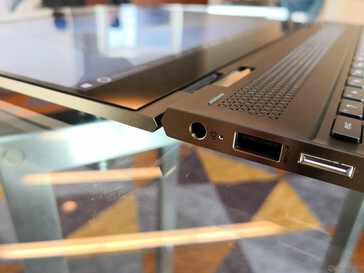 Firstly, the unit will ship with a much more capable (and likely bigger) 150 W AC adapter compared to the 90 W adapter for the Kaby Lake-R configuration in order to power the more demanding Intel-AMD processor. 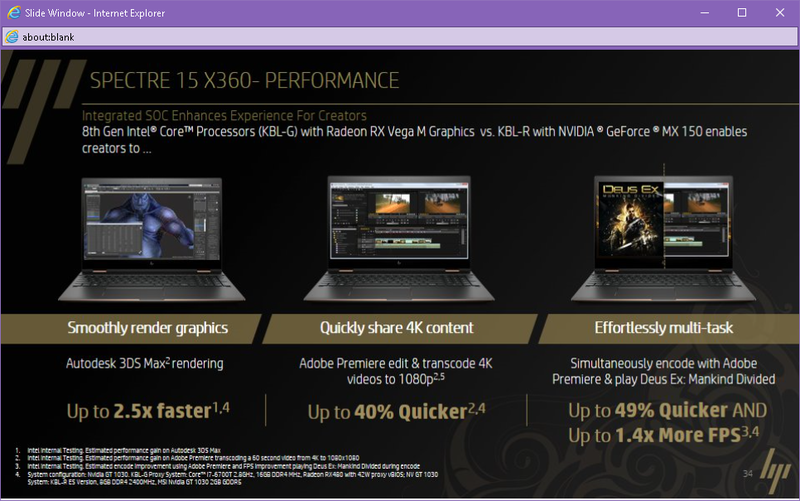 Secondly, the cooling solution will be different from the Intel-Nvidia configuration as implied by their differences in weight. 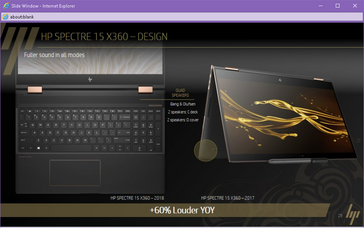 The notable discrepancies in power consumption and cooling have us curious about the surface temperatures, fan noise, and potential throttling behavior of the disparate SKUs. Another interesting observation is HP's reliance on a proprietary AC adapter port instead of USB Type-C charging. 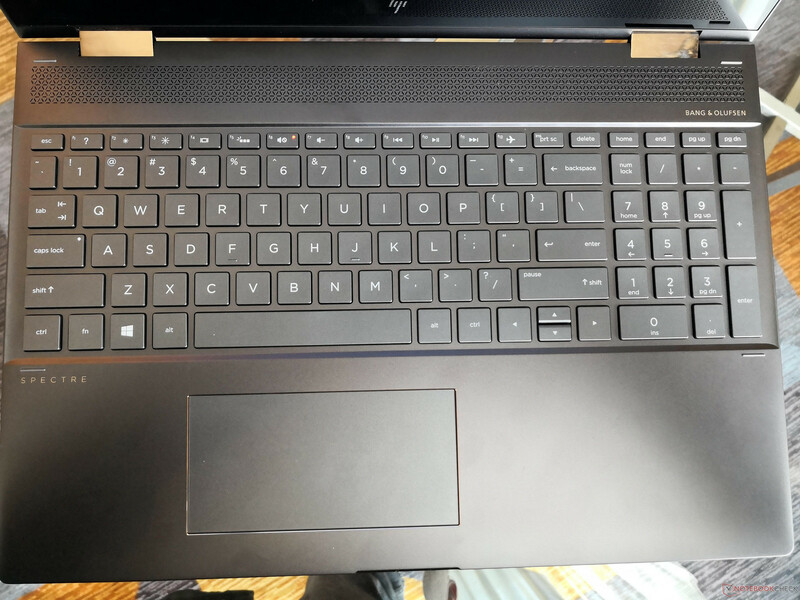 According to the manufacturer, the 100 W limit of USB charging is not nearly enough to charge the system while under gaming or heavy loads and so the dedicated AC adapter port remains necessary. 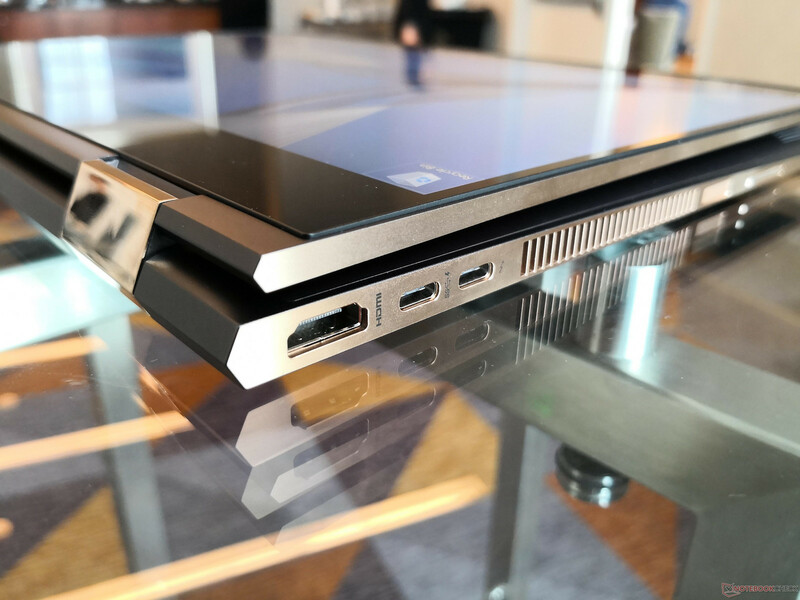 We're inclined to side with HP on the matter as the Surface Book is becoming notorious for its insufficiently small AC adapter that is unable to charge the system when under heavy processing stress. 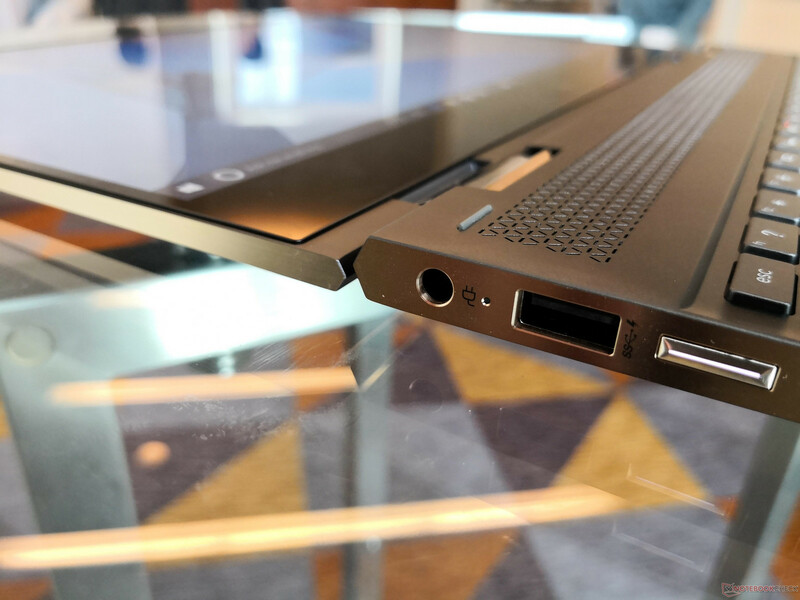 As convenient as USB charging may be, HP is prioritizing performance first for all the right reasons. Our first impressions of the convertible are very positive so far. 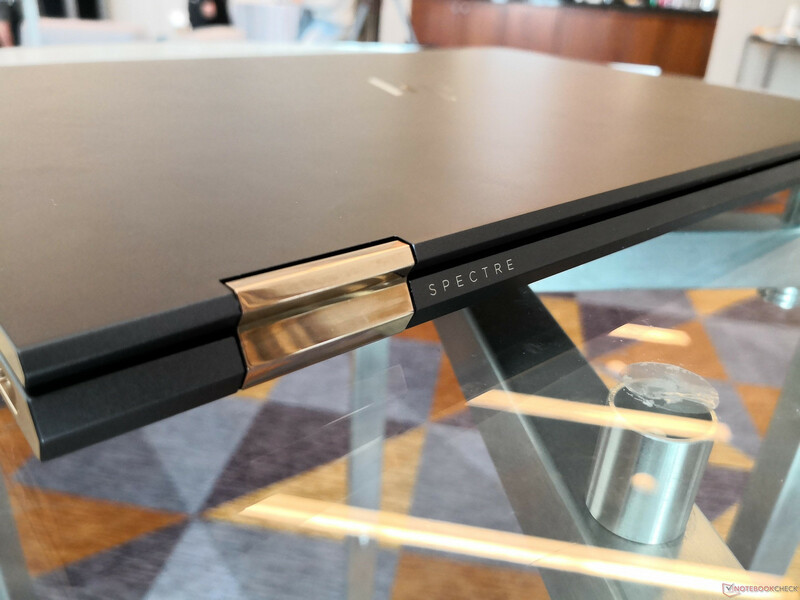 The Spectre series has always been lauded for its build quality and this latest generation appears to be no different - especially since it is not afraid to be thicker and even heavier than its predecessors. Surfaces are firm with only minimal warping and twisting of the keyboard base and lid, respectively. 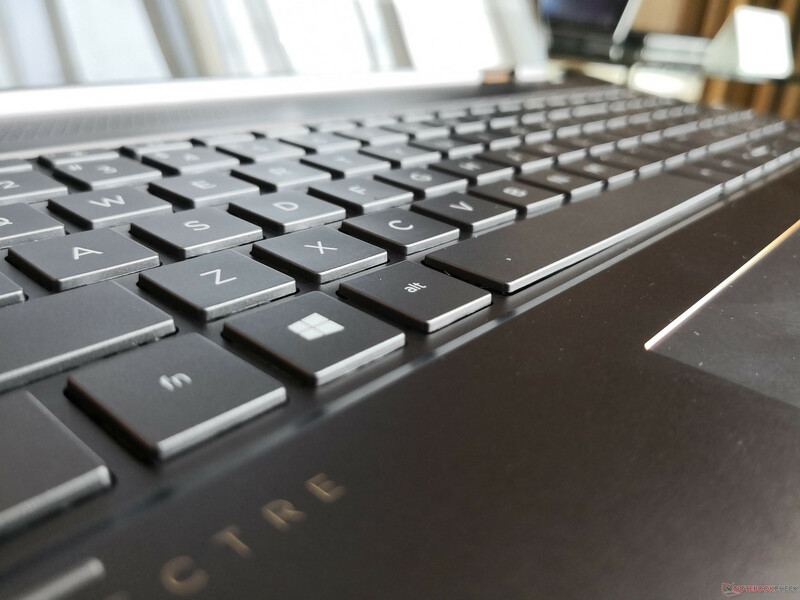 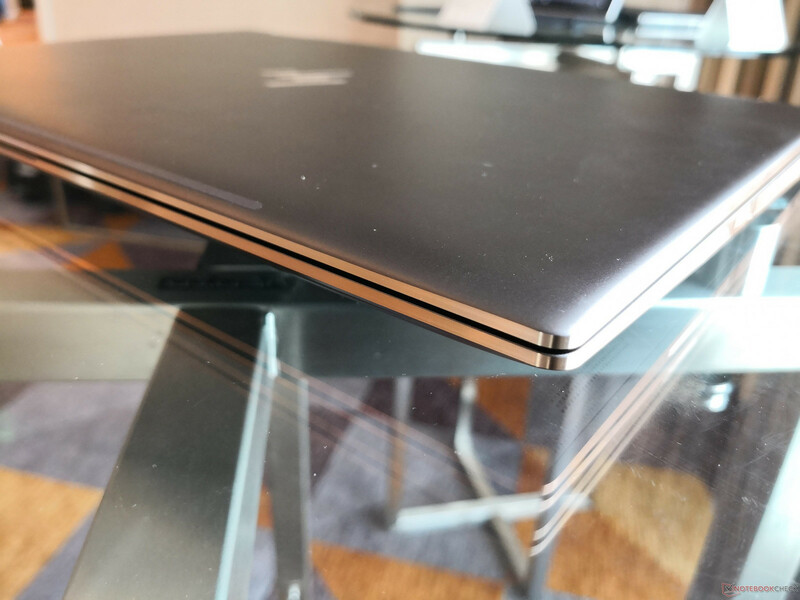 The keyboard keys have a more satisfying feedback than on the XPS 15 9560 and they don't suffer from soft or shallow travel commonly found on super-thin Ultrabooks. 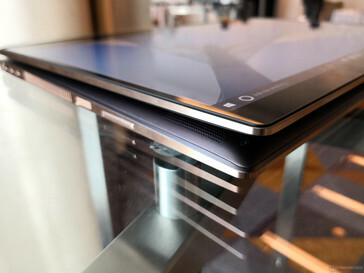 The main drawback, as expected, is its heavy weight that somewhat negates the versatility of tablet mode. 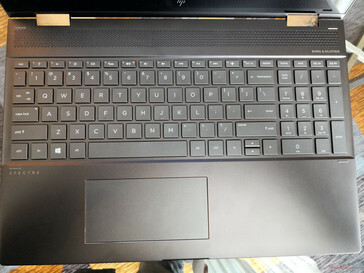 The top bezel is not narrow in order to preserve camera placement and we would have liked to see some improvements to the display with perhaps wider color coverage options or a brighter backlight. 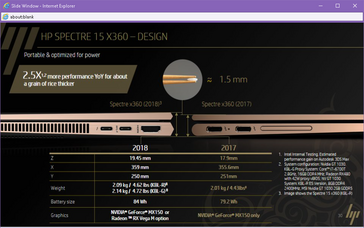 Nonetheless, both the external and internal upgrades have us intrigued. The Spectre x360 15 2018 will be launching worldwide this March for a US starting price of $1370 USD. 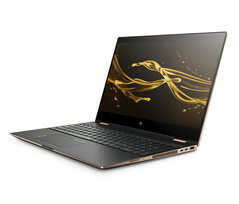 HP says the Intel-Nvidia and Intel-AMD SKUs will not launch simultaneously and that they will be some weeks apart. 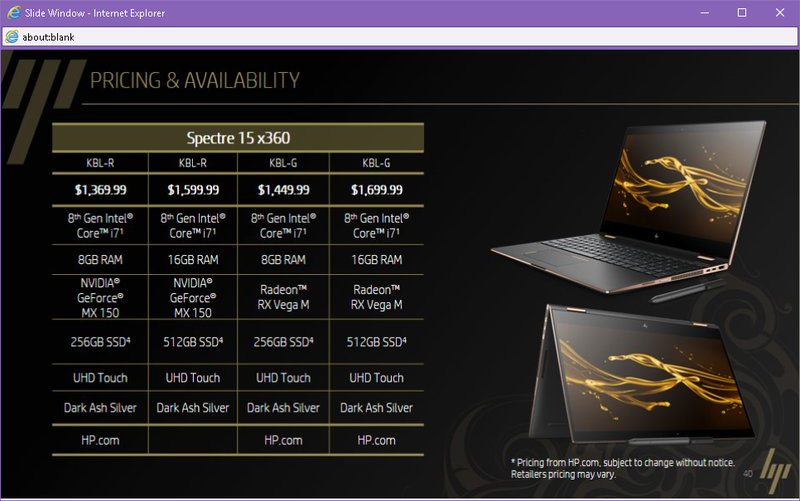 As for the AWOL 2018 Spectre 13, we'll just have to wait until later this year since HP only recently refreshed the lineup with Kaby Lake-R in late 2017.